Drug-drug interactions are common concerns for both people with HIV and their treating doctors, particularly if a person is seeing multiple specialists for other, non-HIV-related issues. While pharmacies can often spot these interactions when prescriptions are filled, there are a number of common products that can easily fly under the pharmacist's radar and, if taken, significantly undermine the efficacy of your antiretroviral drugs (ARVs). They can do so either by interfering with the absorption of certain ARVs, inhibiting enzymes needed to metabolize the drug, or causing an unwanted increase or decrease of ARV drug concentration levels. Surprisingly, some of these products are every day, over-the-counter items, while others are prescription or non-prescription drugs you wouldn’t think twice about taking under normal circumstances. If you are about to start antiretroviral therapy, always be sure to advise your doctor of any drug or supplement—including herbal or holistic supplements—you may be taking. If you are already on therapy and are taking any of the following products contraindicated to your specific ARV regimen, speak with your doctor. You can then discuss either revising your drug dosing schedule, stopping the contraindicated product, or changing your ARVs if needed. Magnesium- and aluminum-containing antacids (such as Maalox, Mylanta, Milk of Magnesia, Tums) can neutralize stomach acids to such a degree as to seriously interfere with the absorption of certain ARVs. Antacids like these exert their neutralizing properties for only a short period of time and can generally be administered two to six hours before or after a dose. Other acid-reducing drugs like proton pump inhibitors (e.g., Nexium, Prilosec, Losec, Prevacid) have a longer-acting effect and can reduce the absorption of both Reyataz (atazanavir) and Edurant (rilpivirine) by as much as 78 percent and 40 percent, respectively. As such, the use of proton pump inhibitors is contraindicated for use with these specific ARVs and special care should be taken when using H2 receptor antagonists like Tagamet and Zantac, as well. Contact your doctor to discuss alteration of dosing and/or medications if using any or either of these drug classes with Reyataz or Edurant. Hypericum perforatum, known more popularly at St John's Wort, is a flowering plant believed by some to have anti-inflammatory, antiviral, antidepressant, and antioxidant properties. While one major meta-analysis conducted in 2008 suggested that the herbal remedy has benefits in the treatment of major depression, its other reported properties remain in contention with little conclusive evidence to support many of the claims. When used in compliment to antiretroviral therapy, St. John's Wort can affect the activity of the enzyme CYP450 3A4, which functions by oxidizing drug molecules so that they can be removed from the body. If this occurs, the serum drug concentration of both HIV protease inhibitors (PIs) and non-nucleoside reverse transcriptase inhibitors (NNRTIs) can be significantly reduced, sometimes by as much as 82 percent. Garlic is believed by some to have properties that can either prevent or treat a number of illnesses, from colds and high blood pressure to coronary heart disease and cancer. Some authorities attribute these properties to a chemical contained in garlic called allicin. While studies have demonstrated the potential benefits of garlic supplementation—either in powder, extract, capsule, or tablet form—there can be serious drawbacks when co-administered with the protease inhibitor class drug Invirase (saquinavir). 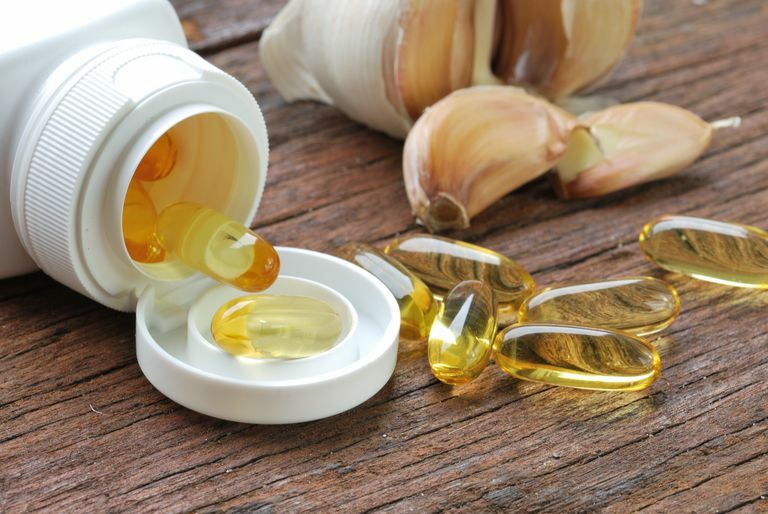 By interfering with CYP450 3A4 in the gut, garlic supplements can potentially reduce Invirase serum drug concentration by as much as 54 percent. Even after terminating garlic use, studies have shown that the suppressive effects can continue for days and even weeks after. Other studies have suggested that garlic may also affect the bioavailability of other PIs and NNRTIs, although there are no specific contraindications for use and no recommendations as to how much or what forms of garlic (including raw) might be appropriate or inappropriate. As such, if you are taking garlic in any form as a health supplement, it is advised that you let your treating doctor know. U.S. Department of Health and Human Services (DHHS). Guidelines for the Use of Antiretroviral Agents in HIV-1-Infected Adults and Adolescents. Washington, D.C.; updated December 31, 2018. Linde, K.; Berner, M.; and Kriston, L. St John's wort for major depression. Cochrane Database of Systematic Reviews. October 8, 2008; (4):CD000448. DOI: 10.1002/14651858.CD000448.pub3. Jalloh, M.; Gregory, P.; Hein, D. et al. Dietary supplement interactions with antiretrovirals: a systematic review. Int J STD AIDS. 2017;28(1). DOI: 10.1177/0956462416671087. Which HIV Drugs Should I Start With? Are Plant-Based Drugs the Next Frontier in HIV Therapy? Once-Monthly HIV Drugs on the Horizon?